Have you been asking the same question that many Malaysian does – is it wise to invest in the local property market? Is this a good time to do so now, with the surprising result of recent GE14? Or are you curious about the real estate industry in Malaysia but not sure where to start? 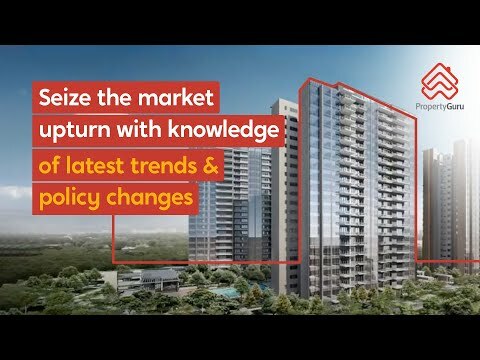 Known for the prestige of its address, excellent working environment and lifestyle offerings, Mont Kiara is where our next event will be held at, when we will be bringing to you updates on overall impact of this general election as well as some of the predictions by industry expert. We will also be deep diving into the change of market sentiment as the change of local government takes place, on what you should be taking note of when it comes to property buying decision making. Mont Kiara had witnessed significant price growth of up to 68.2% between 2007 and 2018. Rental demands will also likely see an increase with the potential rise in expat population and young urban populations. On top of that, be sure to check out our complimentary watch making workshop session that will also be held on the same day. Find out yourself where and how every part sits in the intricate framework of watch engineering. For those who have been collecting watches, this sure is a workshop not to be missed! Come dine, have fun and learn about the latest property updates in Klang Valley’s most prestigious urban area this coming July. Bring your family and friends to participate in this exciting upcoming PropertyGuru event and gain first-hand experience in a FREE watchmaking mini course, held in collaboration with Watch Guild. Register at our event today to receive exclusive gift vouchers and stand a chance to walk away with a Charriol Bangle worth MYR1,000! You may also receive an exclusive 2% rebate for any property purchase ONLY during the event day. – Are we expecting a major change in the housing policy which will set the directions in terms of supply? – How will the change in economic policy affect the real estate market? – What are the prospects of Malaysia property market? Aldrin Tan is Managing Director of Esprit Estate Agent Sdn Bhd, an award-winning real estate firm, representing several major property developers in Malaysia. Having 22 years of experience in the real estate market, Aldrin and his team have helped their clients to build their investments into multi-million property portfolios.